A well-managed identification and security system starts with the MAX eStore’s quality materials, innovative technologies and tracking expertise. 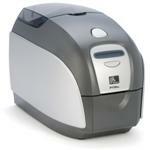 Avoid replacing broken ID cards and cards that lose their ink. 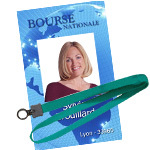 We stock a wide range of visitor badges, employee IDs and lanyards from Brady People ID for offices, construction sites and schools. We’re proud to report these solutions keep organizations of all sizes safe year in and year out. We turn to Brady People ID for innovations like the TEMPBADGE self-expiring badge for visitors and contractors. TEMPBADGE cards and stickers expire after one-day, one-week or one-month depending on your need, with red stripes appearing when time’s up – leaving no question about who’s authorized to be in your building. Along with employee and visitor badges, the MAX eStore offers security seals for bags and briefcases, parking permits and event wristbands. Please search our site or contact us at (508) 784-1233 or (800) 695-2277. We can also be reached at sales@maxestore.com.